Prime Ministers Netanyahu and Olmert were among those spied upon by the NSA, according to Snowden documents. Prime Minister Binyamin Netanyahu and his predecessor Ehud Olmert were among those spied upon by the National Security Agency (NSA), documents leaked by whistleblower Edward Snowden show. According to reports Friday in the British Guardian, the New York Times and the German Der Spiegel, Britain’s eavesdropping agency, known as GCHQ, was also involved in the spying. The reports show that spies monitored the email traffic of several Israeli officials, including one target identified as “Israeli prime minister,” followed by an email address, according to the New York Times. The prime minister at the time of the interception, in January 2009, was Ehud Olmert. The following month, the report said, spies intercepted the email traffic of then Israeli defense minister, Ehud Barak. Two Israeli embassies also appear on the target lists. The Israeli Yedioth Ahronoth newspaper says that the spying also continued when Netanyahu took over as prime minister. According to the newspaper, the reason the U.S. was likely interested in intercepting the e-mails at the time was to try and understand Israel’s strategy regarding Iran and whether Israel was planning to strike the Iranian nuclear facilities. 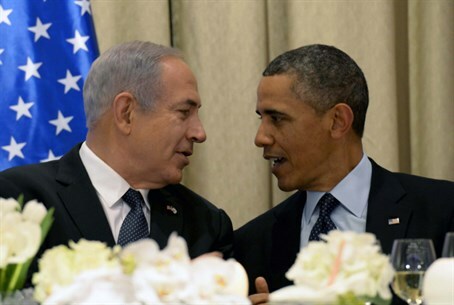 In the previous government Netanyahu appointed Barak to coordinate the talks with the United States on the Iranian issue. Responding to the latest leaks, Olmert told the New York Times on Friday that the email address was used for correspondence with his office, which he said staff members often handled. He added that it was unlikely that any secrets could have been compromised. “This was an unimpressive target,” Olmert told the newspaper. He noted that his most sensitive discussions with President George W. Bush took place in private. “I would be surprised if there was any attempt by American intelligence in Israel to listen to the prime minister’s lines,” he said. The United States government has faced criticism from abroad and at home over revelations regarding its spy programs, including reports that the NSA monitored the phone conversations of 35 world leaders. In October, German chancellor Angela Merkel accused the U.S. of tapping her mobile phone. After Merkel's allegations became public, White House press secretary Jay Carney issued a statement that said the U.S. "is not monitoring and will not monitor" the German chancellor's communications. Officials in Berlin quickly pointed, however, out that the U.S. did not deny monitoring the phone in the past. Another recent report said that the NSA spied on “high priority Israeli military targets.” Other leaked documents suggested that Israel was a “top target” for American spying.